Thurs, June 21, 2018 – Free Concert @ Wisner-Rapp House! Save the Date – June 21!!! Invite your friends and neighbors to our first free Charlestown Historical Society concert of the year, featuring the Raven Hill Bluegrass group. Fun for all ages!!! Kids and families welcome. 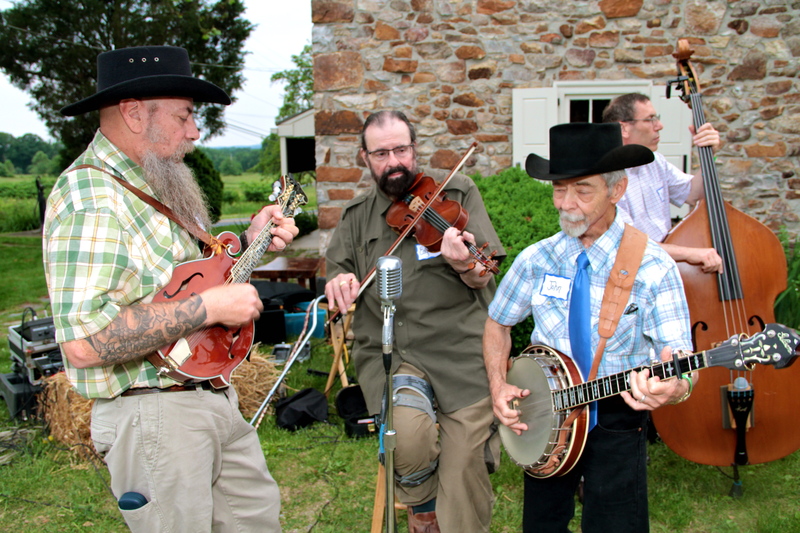 Wisner- Rapp House (3032 Yellow Springs Rd, Malvern, PA 19355) on Thur, June 21 from 7 to 9pm. Raven Hill Bluegrass is back by popular demand after playing at our Bluegrass and BB Q Party of June 2016. Bring your chairs, family and friends to enjoy wonderful bluegrass music in our beautiful Charlestown Twp setting. Convenient parking is located nearby. Come early and take a stroll on the new one mile township trail. Thank you so much for holding this event! My wife and I went to it last night and enjoyed it thoroughly. Everything was perfect, from the musicians, to the setting, to the weather. It was well attended and I think everyone, from the little kids to us older folks, really had a great time. Thanks again. So glad you had a great time. Stay tuned for info on a second summer concert!! Thank you to Jacob Merriwether for all his work on charlestown.org and for the content contributed to this site.